The majestic trees and park-like landscape of Embassy Row form a unique street landscape in the nation, RMA President Deborah Shapley explained in a briefing at the State Department Office of Foreign Missions (OFM) on March 5. RMA arranged the meeting so that OFM staff and various city officials could describe their respective procedures for approving alterations to buildings and landscape when foreign-owned properties are involved. Leaders of neighborhood groups were invited to expressed concerns that some recent Embassy Row construction projects have violated the character of the street and neighborhood. A welter of rules apply to these projects. There are the diplomatic and security considerations handled by OFM; the street, sidewalk and tree issues are handled by DC's Department of Transportation. 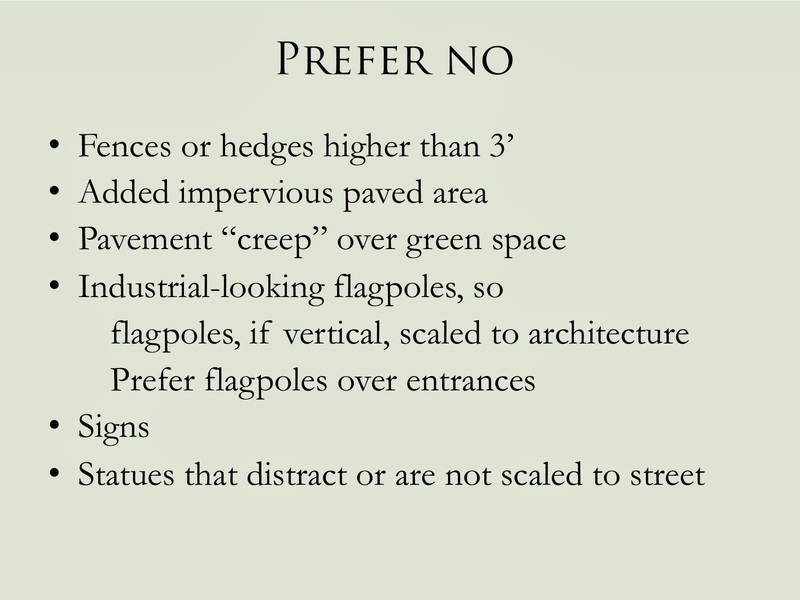 Finally local codes and historic preservation rules apply to fences, paving, statues, flags and signs. 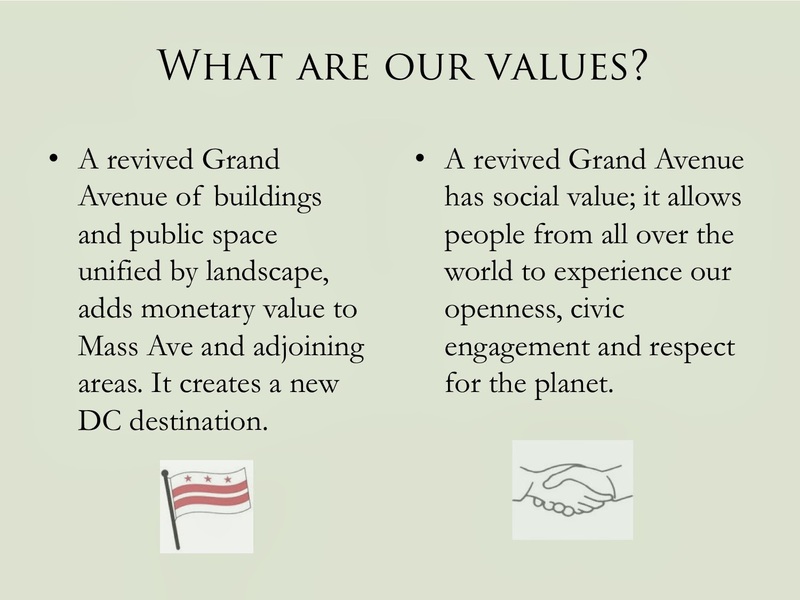 The challenge, Ms. Shapley said, is how to organize approvals of initial plans for an embassy renovation - and the later changes during the job - so the sweeping, park-like landscape of the historic Grand Avenue is undisturbed. And so the public traveling the busy Mass Ave thoroughfare can see and appreciate the seqeuence of Beaux Arts mansions framed by trees. But how to re-create historic vistas with so many stakeholders involved? 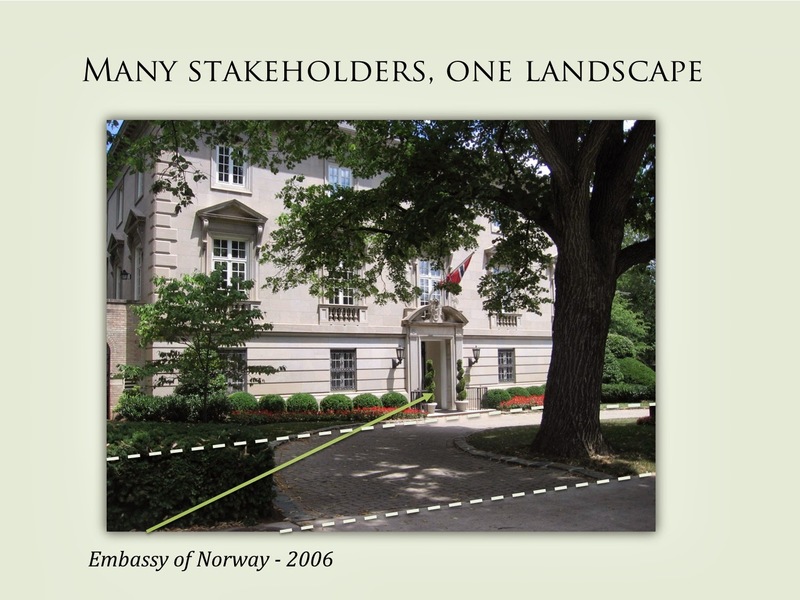 Many embassies have taken pride in new trees for lawns and yards arranged by RMA since 2007; many now care for nearby city trees in the sidewalk. RMA works with ~30 foreign-owned properties and adds more "participants" to its program each season, Ms. Shapley said. 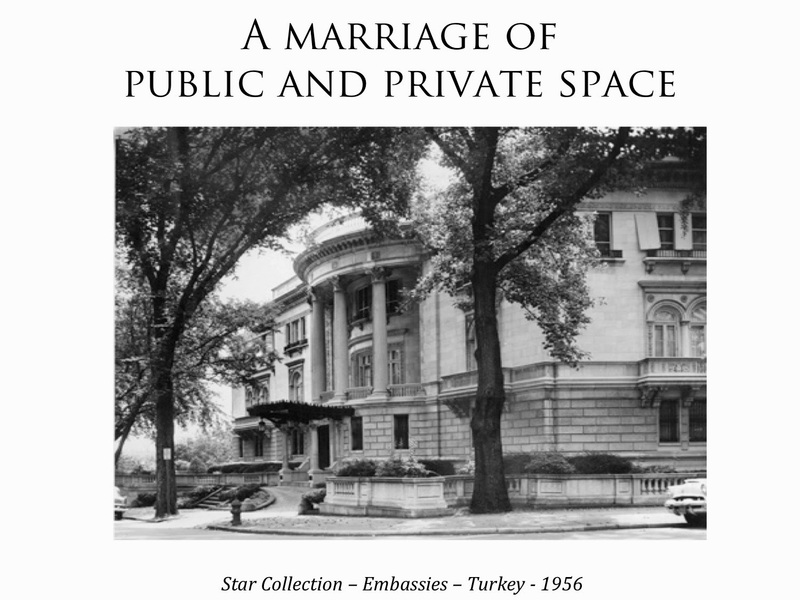 State Department officials were supportive of getting all parties to preserve the green and historic character of Embassy Row. “Green diplomacy is not something we talk about; it's something we practice," Clifton C. Seagroves, Director of the OFM property office said after the meeting. 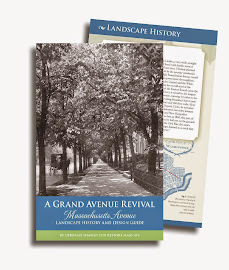 Though the meeting was on background, here are a few slides from the briefing to show how landscape and architecture harmonized along the original Grand Avenue a century ago. Also things that block or distract from crucial views.